A new bread has been introduced to the Ghana market with top movies stars putting in their all to sell the product. 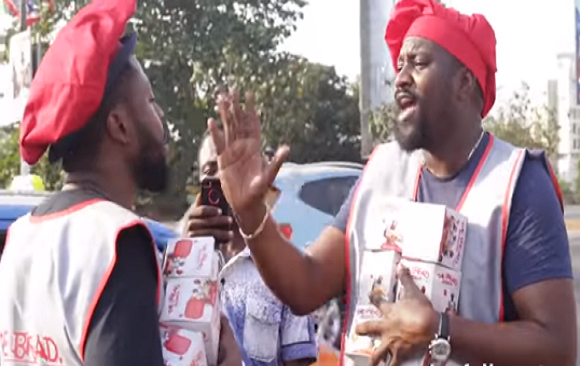 The likes of John Dumelo, Emelia Brobbey, Rosemond Brown, Roselyn Nggisah, Nikki Samonas, Kalybos, Yaw Dabo and Nana Tonardo and many others were part of the endless list of the big names who were spotted by the cameras of zionfelix.net selling "The bread". Aside the actual activity of selling bread, the celebrities took off some time to familiarize with their many fans through a lot of selfie-taking moments. The event was certainly a huge success as the celebrities sold about two fully loaded cars of "The Bread".